One. 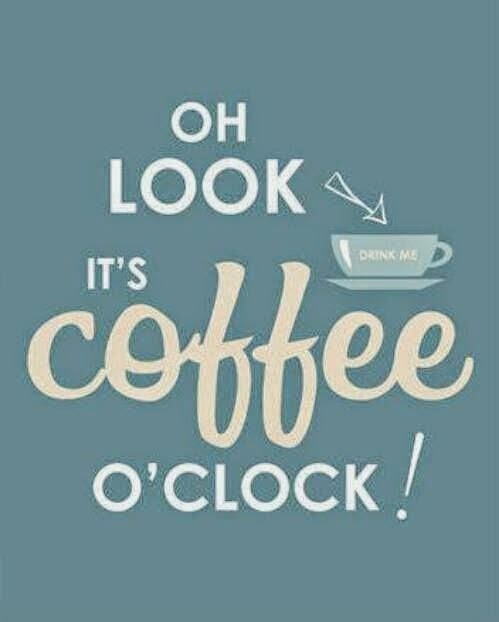 I can't get enough coffee lately! Hot or iced, I don't care, just caffeinate me. Two. I paddled around in my parent's pond in a kayak on Sunday. I'm a scaredy-cat when it comes to boats/water, and my boyfriend loves kayaking. So, instead of making a fool out of myself at a lake, I decided to try it out in a pond first. I actually liked it - it's a good way to get a little sun and exercise. However, I'm going to need a lot of practice. If a spider or snake jumps in that thing with me, it's overboard for me. Three. I'm sad that Fitnessista's Summer Shape Up is over. :-( Now I have to put more thought into my workouts. What are your favorite summer workouts/series right now? Four. The weather has been BEAUTIFUL lately. Temps in the 70s/80s. Sunny. Not as many storms. This must mean there is a giant heat wave coming soon. Five. When you sit in the floor at my house, this inevitably happens. Fur-monster cuddle attack. Six. Since I've been drinking kombucha on a daily basis, my food cravings have almost vanished. So now I have more free time to NOT think about food. Yes! Check out my post on how to brew your own kombucha here. Seven. But, speaking of food ... Watermelons are starting to come in around here. YES! 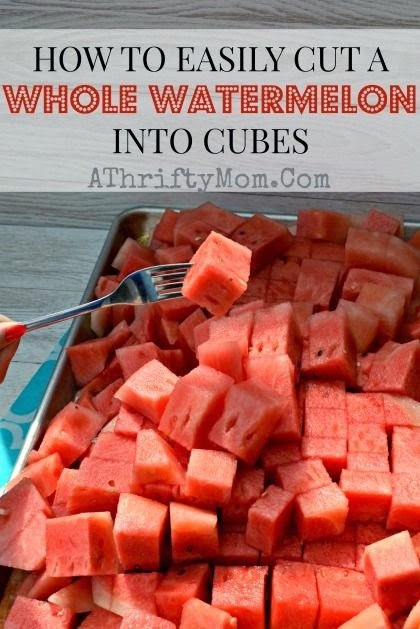 I found this tutorial on how to properly cube a watermelon on Pinterest. This will be happening soon. Eight. I need a good summer TV series to watch. The Bachelorette is ending soon and I will need something to watch. Any suggestions? Nine. Dottie Couture is having 40% off today. Your welcome. Ten. This week is going by S ... L ... O ...W ... Where is Friday already? 2. You're braver than me! I've never been kayaking. It LOOKS fun but I would be much too preoccupied with snakes and tipping over. You are so brave! I could never go kayaking! I am so scared of water, I can't even tell you! I love to watch Pretty Little Liars! I love kayaking! But I'm right there with you - if a spider or snake jumps up in the boat with me... Buh-bye Kelly! LOL! Ha, I had to learn to kayak as a counselor at a youth camp! It's not my forte! Excellent job giving it a try. I'm anxious to try the whole homemade kombucha brewing, but I just haven't gotten the gumption yet. It's on my list of things to try! As for summer TV... I LOVE Suits and Rizzoli and Isles. Kayaking looks like so much fun! So jealous...also jealous of your weather! Seems like its been doing nothing but storming around here lately. Don't get me wrong, I love a good thunderstorm, but every day for the past week seems a little excessive! lol. Now that's a weekend! 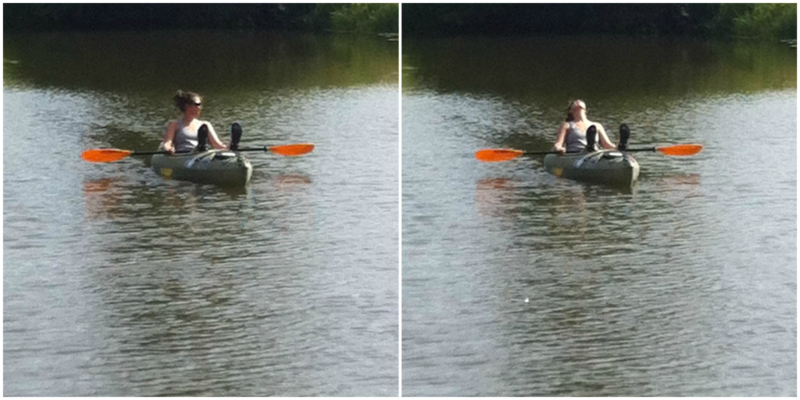 How fun that you kayak in your parents' pond?! What? That's insane! So cool. wow. You are so brave! I've been wanting to go kayaking for a long time! I was going to go with my sister in North Carolina until she mentioned that the river had alligators in it!